We would love to share our beautiful venue with you, an ideal location to host your unique event. 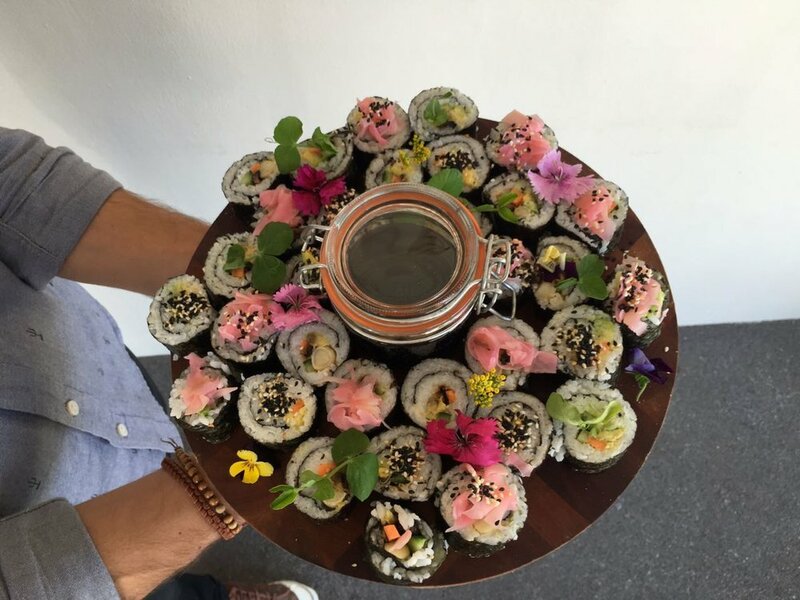 We offer an assortment of plant based, vegan or vegetarian platters as well as vegan sweet treats and cakes to cater for events both at our venue and outside. Email us at gather@thekindredkitchen.co.za for a custom quote or to discuss your event in more detail. 'At Kindred we strive to break down barriers and stigmas attached to various concepts in our society, from the power of individuals to the power of food. Coupling rights with responsibilities in relation to the planet and each other, in order to find the balance that allows us to feel connected to the earth BUT ALSO enables us to live well in our time, to show that we can make a difference with our decisions and encouraging others to do the same. Kindred was born out of a shared passion for humanity and planet earth. We have created a space where everyone is welcome. We encourage people to eat more plants, to make conscious choices when it comes to their footprint on earth and to be educated about foods that are really nutritious for themselves and their children. Amy has a strong belief that food should be good for you, good for the planet and definitely delicious! Taking inspiration and ideas from her background in art and eating her way around the world. She started a vegetarian market stall at the Oranjezicht market in Cape Town and has developed into a plant based concept that she has carried on throughout the last years in her blog and catering business An Earthen Life. She has created each meal on the menu to be delicious, nutritious and beautiful! Hopefully tickling all your senses. Simone is a school teacher and children’s/teens yoga instructor at Yoga Shala. Her drive lies with empowering children and teenagers to be free and conscious in the world around them. She has created a beautiful childrens’ area with imaginative play items, books and comfortable pillows. Simone is passionate about families coming together, women supporting each other and children believing in themselves whole-heartedly, while all living harmoniously with our beautiful Mother Earth. She also brought in her love of smoothies and superfoods by creating our delicious and healthy smoothie menu. Duart is a surfer and outdoors man who really just wants to clean the earth. We try in every way to reduce our use of single use plastic and to recycle whatever we do use. We use completely biodegradable takeaway containers and cutlery as well as trying to use suppliers that deliver plastic free or use biodegradable packaging themselves, even down to our toilet paper and our coffee which is roasted in the forest in Wilderness. We are proud to be the very first plant based restaurant in Port Elizabeth (Nelson Mandela Bay in South Africa). Our restaurant is situated in the bustling and creative Richmond Hill among many other amazing restaurants, bars and boutiques. 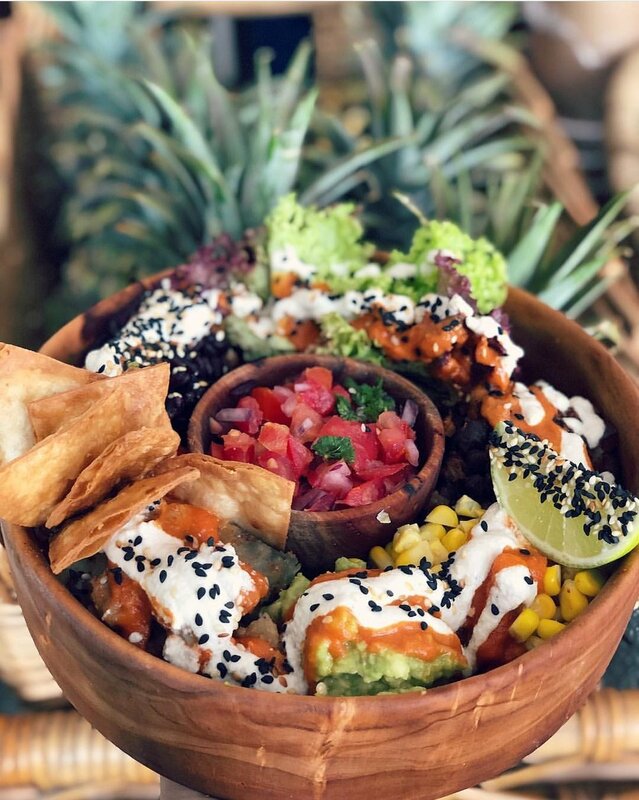 We offer a variety of meal options from super healthy raw smoothies and smoothie bowls packed full of superfoods to cooked breakfasts, deep fried chips and a burger for lunch. There really is something for everyone.